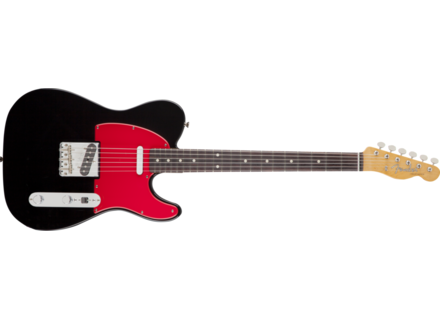 Wilko Johnson Telecaster, TLC-Shaped Guitar from Fender in the Artist Telecaster series. Fender adds to its Artist Series the Wilko Johnson Signature Telecaster, a guitar that is only available on the European continent. You'll find the Fender Wilko Johnson Signature Telecaster guitar in shops for about 600€. All the details are available at www.fender.com. [NAMM] Earthquaker introduces Arpanoid Earthquaker will go to Summer NAMM this week with arms full of new products, including the Arpanoid polyphonic pitch arpeggiator pedal. [NAMM][VIDEO] TC Electronic Spark Mini Booster TC Electronic launches this month the Mini version of its Spark Booster clean boost pedal for guitar. 2 Fender Custom Shop Michael Landau Strats The Fender Custom Shop announces the availability of two Stratocaster Relic Michael Landau Signature.